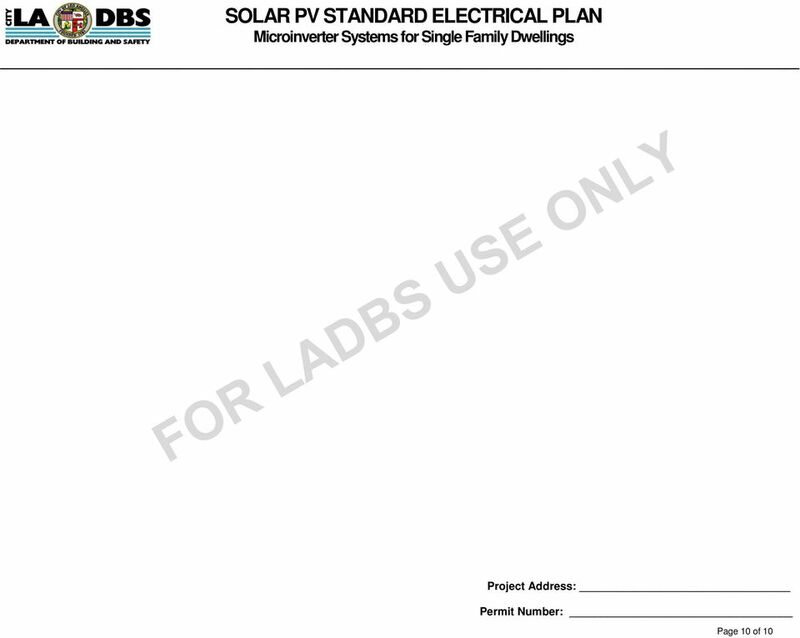 Download "SOLAR PV STANDARD ELECTRICAL PLAN Microinverter Systems for Single Family Dwellings"
What are the basic electrical safety issues and remedies in solar photovoltaic installations? 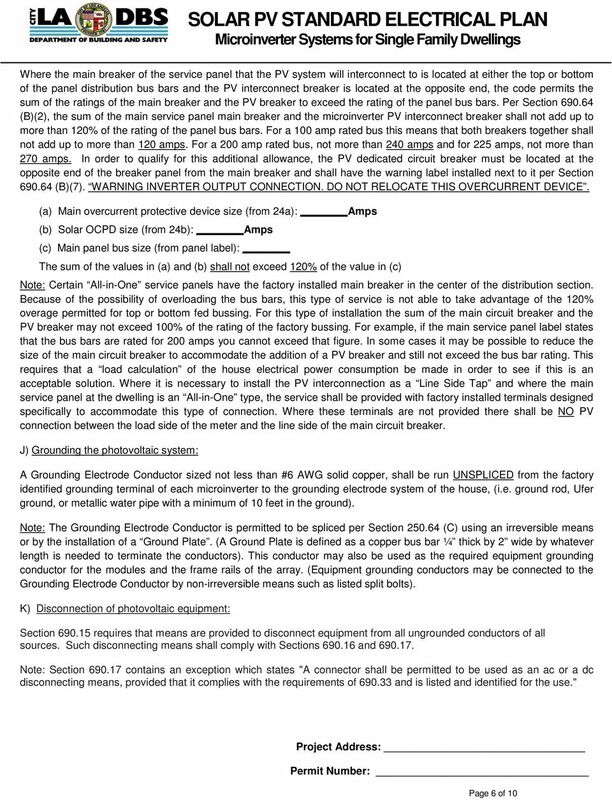 ARTICLE 690 Solar Photovoltaic (PV) Systems INTRODUCTION TO ARTICLE 690 SOLAR PHOTOVOLTAIC (PV) SYSTEMS You ve seen, or maybe own, photocell-powered devices such as night lights, car coolers, and toys. 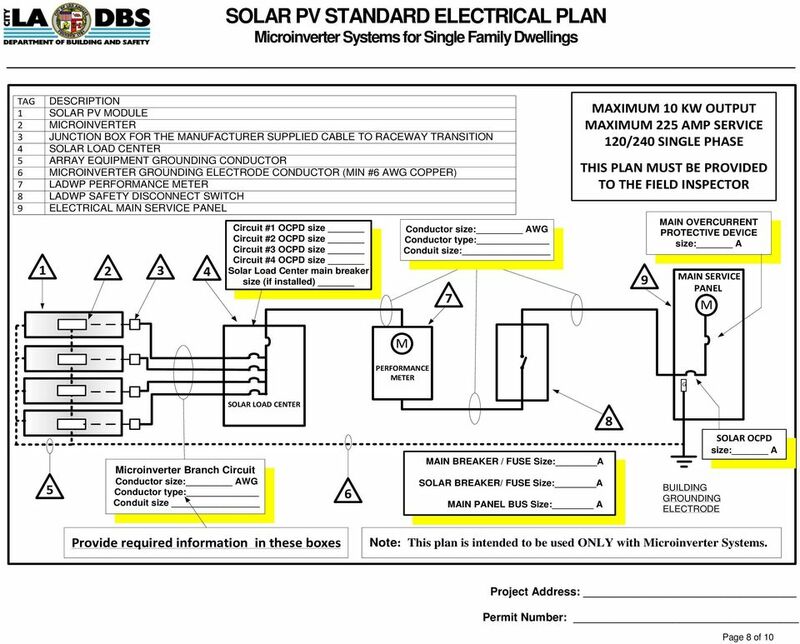 12 SOLAR PHOTOVOLTAIC POWER by John Ware IT IS PLANNED for BS 7671:2008 to include a new Section 712 providing additional requirements for safety applicable to solar photovoltaic (pv) power supply systems. 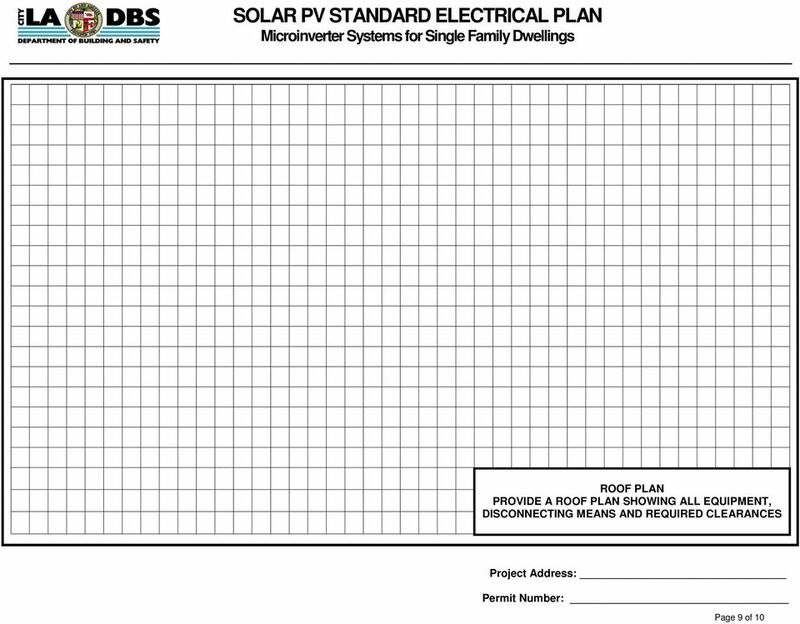 D. Permits: A building permit is required for the structural support of all solar energy device installations. 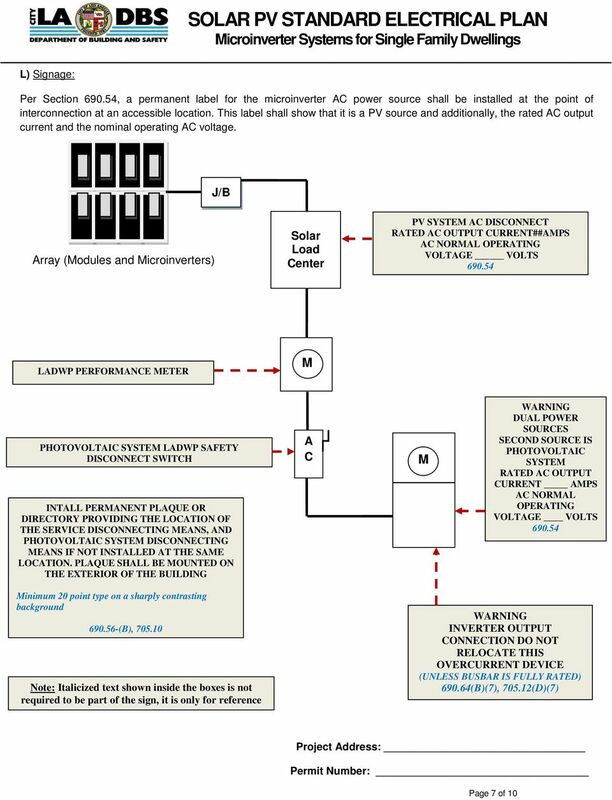 MAKING THE AC UTILITY CONNECTION by John Wiles Connecting the utility-interactive inverter to the utility grid properly is critical to the safe, long-term, and reliable operation of the entire system. 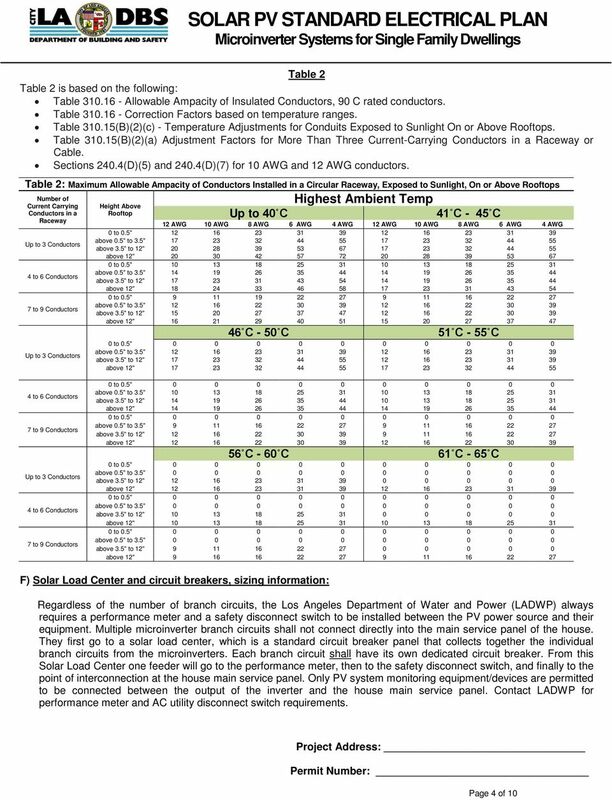 2011 NEC ARTICLE 525 Carnivals, Circuses, Fairs, and Similar Events Contents I. 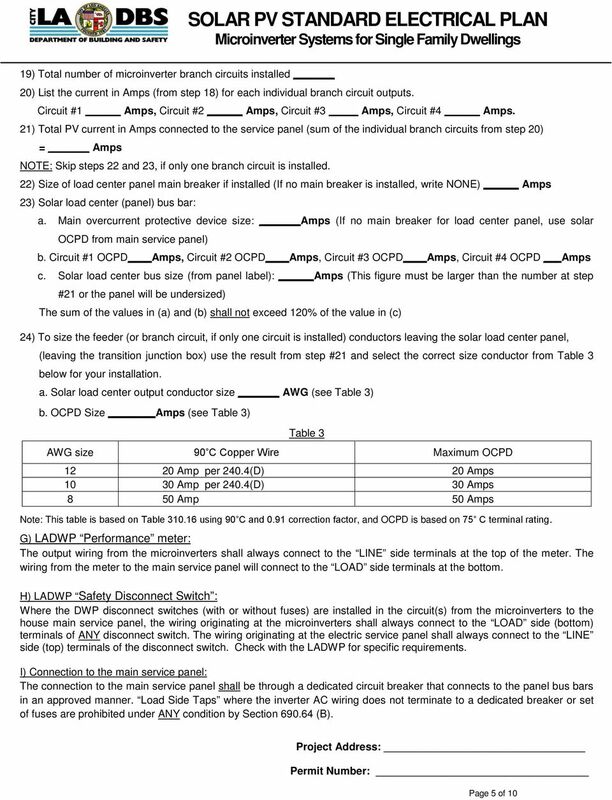 General Requirements Scope Definitions 525. 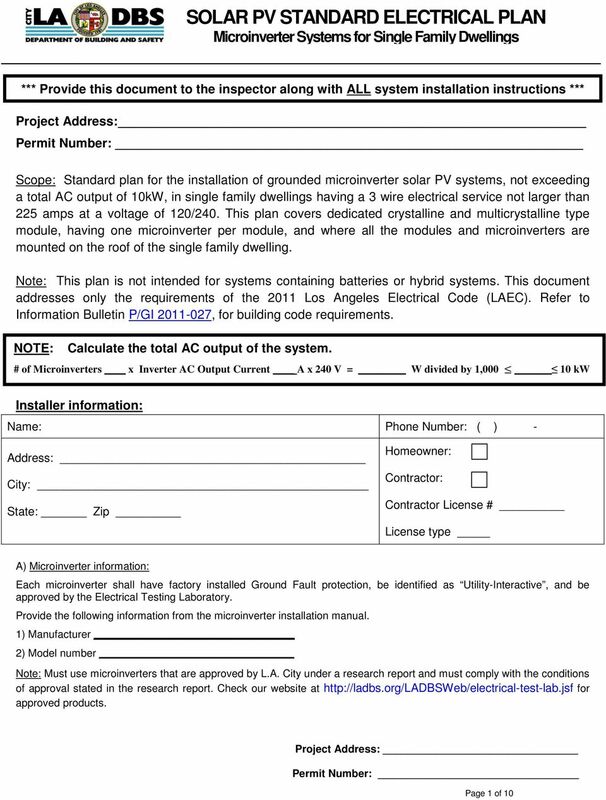 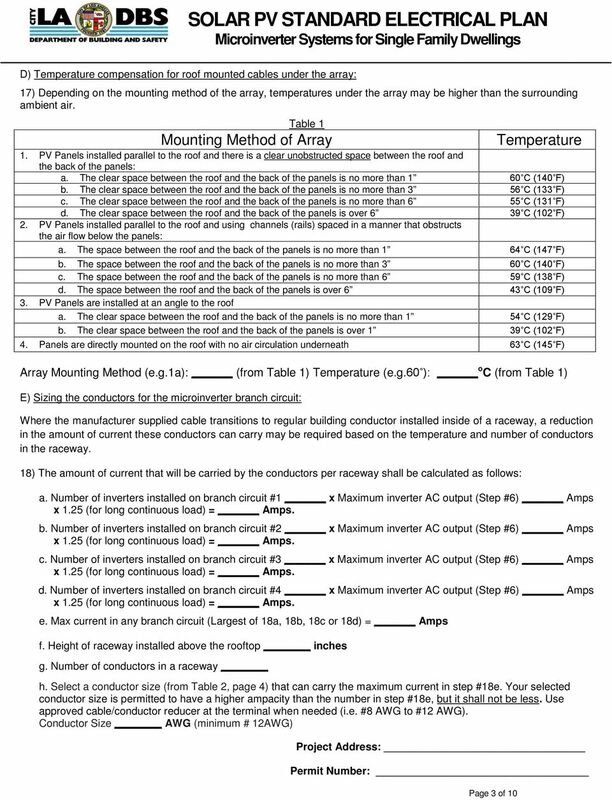 Guideline for Fire Safety Elements of Solar Photovoltaic Systems July 17, 2008 Rev: 1/1/10 This document was developed by the Orange County Fire Chiefs Association, Orange County Fire Marshal Committee. 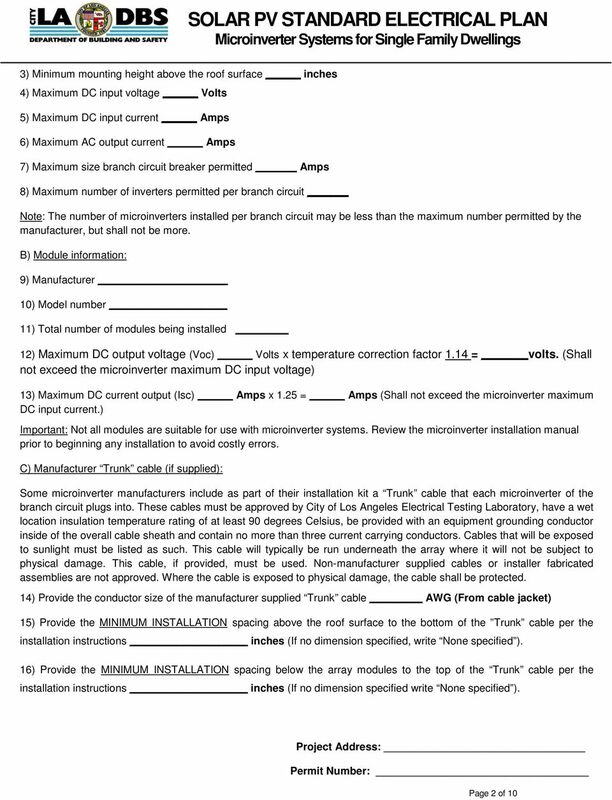 All work must conform to the National Electric Code, latest edition, and all other applicable codes and regulations.